Есть вопрос для Naruncha Green House? Расположенный в самом сердце района Вуа Лай, Naruncha Green House является идеальным местом для знакомства с городом Чиангмай. Этот 2-звездочный отель расположен всего в 0.5 Km от самых знаменитых достопримечательностей города. Остановившись в нем, вы получите отличную возможность исследовать самые популярные места. Удобное расположение объекта размещения обеспечивает легкий доступ к наиболее притягательным туристическим местам в городе. Здесь делается все возможное, чтобы гости чувствовали себя как дома. Это достигается благодаря безупречному обслуживанию и сервису высочайшего качества. В распоряжении гостей отеля такие услуги, как обслуживание номеров 24/7, бесплатный Wi-Fi в номерах, хранение багажа, Wi-Fi на территории, парковка. Благодаря высокому качеству таких услуг, как Wi-Fi (бесплатный), номера для некурящих, кондиционер, письменный стол, вентилятор, вы сможете полностью расслабиться и зарядиться энергией после долгого и насыщенного дня. Помимо широкого выбора услуг для отдыха, предлагаемых объектом размещения, вы получите множество возможностей и для развлечений. Независимо от цели вашего визита в город Чиангмай, Naruncha Green House идеально подходит для отличного отдыха и веселого времяпрепровождения. For the budget traveller, this is the place to stay. 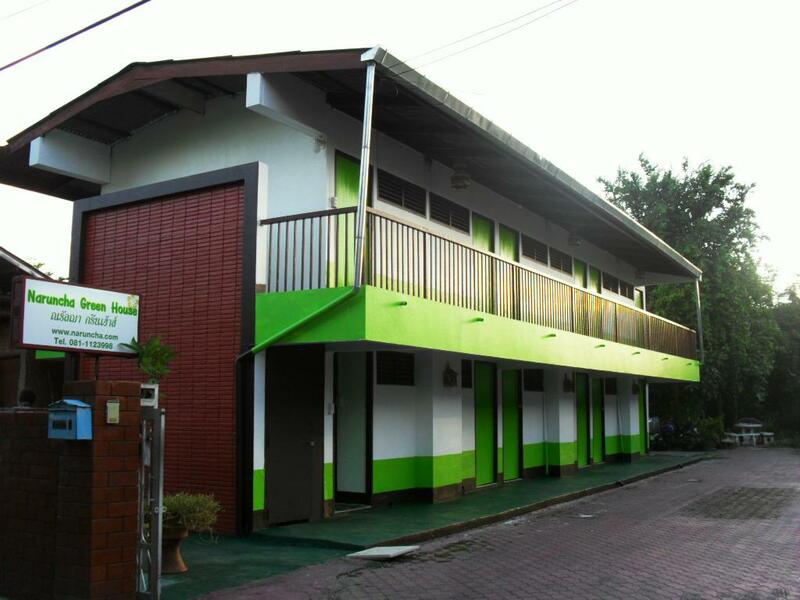 A family owned and run guesthouse, the owners give a warm reception. 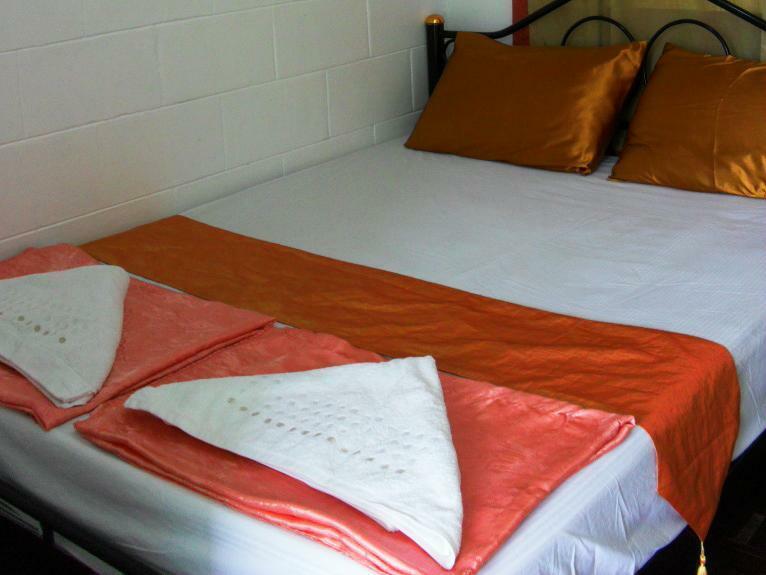 Rooms are clean, hot water showers and secure, making them the best option in Chiang Mai at this price. We stayed here for 6 nights and were generally pleased. There was some confusion over our booking and the owner wasn't in and we had to confirm our identity and our booking over the maids phone. Strange but over the next few days the owner was lovely. Very friendly and she even phoned a taxi for us in the rain, late at night. The room was acceptable. Decent bed and enough space for our two suitcases. Bathroom was basic and had a cold shower but for £6 a night we were satisfied. However they are not cleaned daily but towels are provided with bottled water and a very cold water tank is located in reception for guests to use. It took us around 5-10 minutes to walk into the centre of Chiang Mai and there were plenty of good restaurants and bars nearby. Definitely check out a place called Mad Dogs. Would recommend and stay again if we came back to Northern Thailand. Pros: - Good location - Friendly and helpful staff - Relatively quiet at night Cons: - I'm not one to normally complain about cleanliness but the bathroom was absolutely covered in black mold. The walls in the main room hadn't been cleaned in a while either - good amount of grime buildup. Yikes... A wipe down with bleach would go a long way. - The restaurant behind our room had a potent trash smell coming from it. Made us want to close the windows but that would've been stiffling without AC. Overall, there are better rooms for the same price in Chiang Mai. This location is okay for a night but do yourself a favor and find a more suitable spot for a longer stay. If you are looking for flashy modern rooms you won't find them here. 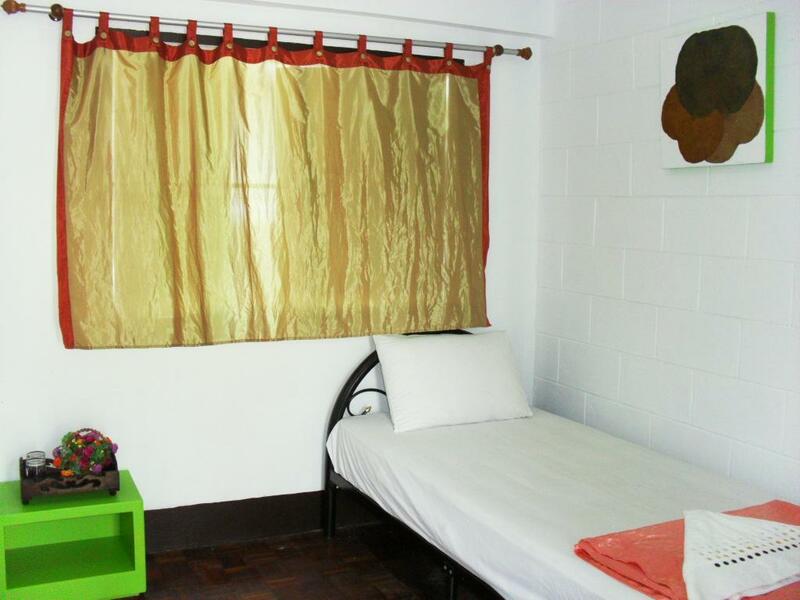 What you will find is kindness, helpfulness,honesty and snug little rooms that offer enough to keep you safe clean and sheltered. Goi the manager is exceptional! To Meet someone so genuine and caring about their guests is very rare these days. Our children 10,7 and 4 were treated as her own. whether it was minutes spent talking to them or taking them down the street for a fruit smoothie, it was all wonderful. Thank you Goi, our children all said to us "why did we leave Chiang Mai so quickly, we miss Goi" we too miss you and have already decided to make a return visit again soon. So fellow travellers, the choice is yours, flashy digs or memories of a life time? We know where we'll be staying next time! It was a pretty interesting expereince to stay in Naruncha. You can meet backpackers from all over the world, especially the Chinese speaking one who I found its easy to talk with. Also the staff there is kind to provide travel information to you with smile.If i go Chiangmai again, I will consider Naruncha to stay again. More than expects and Thank you for so kindly staffs here. I've been staying here for a few years, but the mould in the bathroom has been growing in that time and now its a bit too much. The place needs a refurbishment. Pour stay was okay. There is a sign on the door that said to not dirty any of the white things (towels and sheets) which was confusing. When we arrived the woman working the desk called her boss three times before we got it squared away that we had already paid for a room. The internet was slow to non-existent at times. And the door to the bathroom didn't fit into the door frame anymore. I know this all sounds negative but considering the price, we got what we needed which was a bed to sleep in and a warm shower. I would not stay here for an extended period but when you're city hopping and need a night, I would consider it. Great staff, clean rooms, cheap! The staff at this hotel are the best! 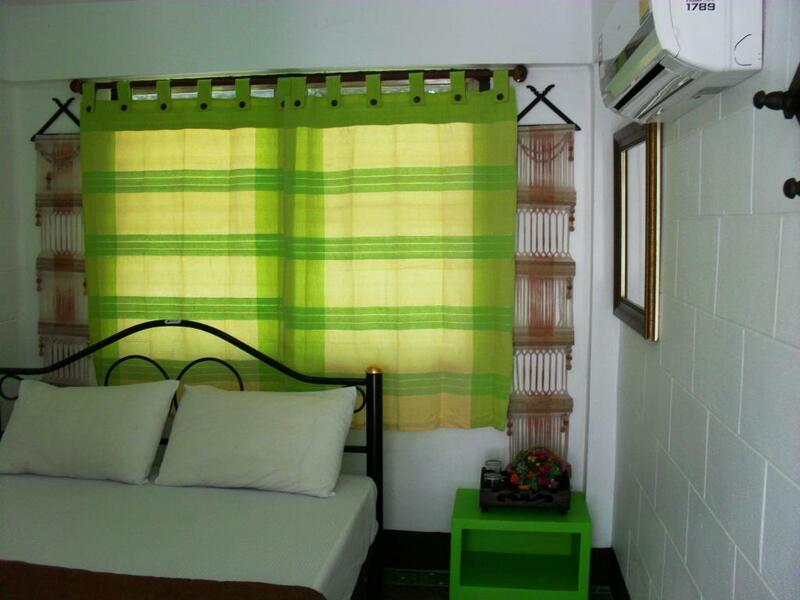 Its pretty basic and the rooms are small, but they are comfortable and clean. simple, clean and quiet place. The experience of staying is good. The only thing is my room is farthest the counter, so that the wifi is week. This is a lovely little budget place tucked away down a back street to the South East of the old city. It is a little hard to locate initially, but is also very quiet at night due to the location. It's in a nice Thai area with several good Thai cafes close by, especially the Jay (vegetarian) places of which there are 3 nearby (2 at the top of the Saturday walking street). It is convenient to walk to the Saturday and Sunday walking streets, Warrot Market, the night bazarre, South Gate Market and much of the old town. The manager is very helpful and speaks very good English - she arranged buses to Mae Sai and Pai for us. The other staff don't speak English well, so it's worth waiting for the manager to make any requests etc. The only negative was that our fan room was very hot, but that's mainly down to the high temperatures here in April/May. If you can I'd opt for an air-con room unless you're used to the heat. There's also a kitchen with a fridge as a bonus! The hotel is really nice. Clean and beautifull rooms. Its close to the center and a local shop. Make sure to chose the aircon in the warmest months, as its so hot walking around in the center. The staff, the outdoor sitting area, and the comfy bed! We stayed at Naruncha for 4 nights and it was a thorough pleasure. The woman who runs the hotel is unbelievable attentive - she looked after us as if she was our mum! I was sick while we were there and she was always on hand with cups of hot water, made sure we had extra blankets, and she took my boyfriend to the pharmacy to get me medicine. The hotel is lovely and clean, and our room looked freshly painted and had lovely friendly decor. The bed was really comfy too! The woman who owns the hotel speaks great English and is really helpful with organising tours and giving lifts! The only thing that might make this hotel better is air-conditioning. It wasn't a problem for us as we were there in the cooler season but I think in summer it would be really hot! Overall I would highly recommend Naruncha to anyone staying in Chiang Mai! Fantastic experience! Naruncha is the kind of home away from home perfect for a quiet laid back individual, especially for a sol traveller staying in Chiang Mai a bit longer. The staff is great and will drop everything immediately to always help you with a smile on their faces. So clean you could eat off the floor. I highly recommend! this place is the best! this is one of these places that makes you so happy you listened to the reviews and booked it. i loved naruncha so much i am going back for 6 more nights! the location is good, about a 10 minute walk down a side street outside of old city. the place itself is ok, nothing to write home about. but the ladies who work there make it feel like home. and it is for them! it is so clean you could eat right off the floor, and they take such good cre of you. perfect for solo female travellers. i am so grateful i found this little diamond in the rough and hope if you come to chiang mai you have a chance to see what i mean! This is one of these places that makes you so happy you listened to the reviews and booked it. I loved Naruncha so much I am going back for 6 more nights! The location is good, about a 10 minute walk down a side street outside of old city. The place itself is ok, nothing to write home about. But the ladies who work there make it feel like home. And it is for them! It is so clean you could eat right off the floor, and they take such good cre of you. Perfect for solo female travellers. I am so grateful I found this little diamond in the rough and hope if you come to chiang Mai you have a chance to see what I mean!